One of the real joys of a trip to Glencoe is simply taking it easy. Relax, read the papers and pop out for a quick breath of fresh air with an afternoon walk. Even better if you don’t need to take the car and you can walk from your door. All our properties offer excellent opportunities for short walks of some distinction, with great views, places of historical interest and that magic ingredient, the coffee shop! Right on our doorstep is an invigorating walk through An Tor woodland to the historic Signal Rock. This walk can be seamlessly integrated to include The Clachaig Flats to complete the round trip. One of the most photographed views in Scotland is that of the beautiful Lochan and the surrounding majestic sights of the Glencoe peaks that makes for a truly spectacular setting. Cross the road and walk through the woodlands, past the historic site of Inveriggan, to the award winning National Trust for Scotland Glencoe Visitor Centre. Enjoy a coffee and visit the exhibition before heading back. The MacDonald Monument stands just adjacent to the access road to the cottages. The walk to the village only takes 5 minutes. 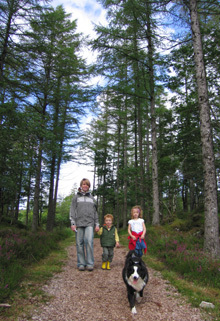 Combine a visit to the village with a walk through mature woodland along the river Coe. Once at the foreshore at Invercoe take in the views across the morhaich and Loch Leven to Ballachulish Bridge and the mountains of Ardgour. Walking round the lochan, originally constructed by Lord Strathcona as part of the estate, is one of the most pleasant and scenic short walks in Lochaber. Further Forest Enterprise woodland walks available. Trout fishing by permit is also available on the lochan. Visit the Henderson Stone before heading through the woodland at Inveriggan. Enjoy a coffee and a cake at the NTS Visitor Centre before heading back. Further paths around the centre are being planned. Combine a trip to Glencoe Village and the museum with a delightful round trip via the river Coe and the foreshore at Inveriggan. Finish off with a well-earned latte at Craft & Things, just next door to your cottage! Explore the foreshore, formed from the spoils from the famous Ballachulish slate quarry. Take in the views across Loch Leven to Eilean Munde – the Burial Isle. Take a walk round the interpretive trail in Ballachulish Slate Quarry, and call in for information and a coffee at the Ballachulish Visitor Centre. Turn right once in through the main gate to the quarry and follow the path to gain superb views over the old terraced slate workings. The path continues up and for a short while quite steeply into the forest beyond, before dropping back via the old ruined farm. The path finally brings you out at the top of the village where you'll find the churches. Cross the bridge over the River Laroch at the top end of the village and turn immediately left. Follow the road to the very end and continue along the rough track on the far side of the gates. The track climbs all the way to the top of the pass and is quite rough in places with several streams to cross. However, its pleasant walking and the views are excellent. A great little out and back walk but you can continue all the way through to Duror village - but arrange transport or check the bus times if you do! The Ballachulish foreshore as above is also a great place to go for a short exploratory walk. 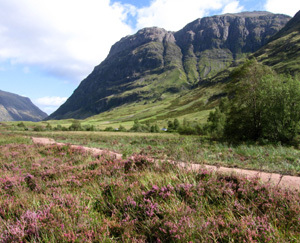 There are further opportunities for easy walks within the immediate area of Glencoe. A hanging valley between the first two 'Sisters' of Glencoe. A rough walk and a scramble through fallen rocks into an almost level valley. Superb location and scenery, but requires good boots, a daysack, waterproofs and some walking experience. Part of the West Highland Way and a good trail which leads over into Kinlochleven. A good circular route. An easy walk but a classic mountain bike route. An easy walk if quite long walk that demands good boots, a daysack, waterproofs and some mountain experience. 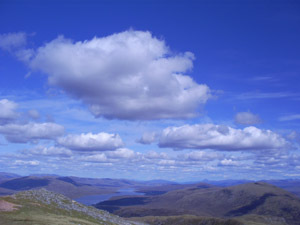 The route traverses the Lairig Eilde and the Lairig Gartain between the Buachailles and the Three Sisters reaching Dalness at its most southerly point. The area around the narrowing of the gorge at the head of the glen and just below the Queen's Cairn. Marvelous mountain scenery and some splendid waterfalls. A marvelous and relaxing way to enjoy the whole glen. Get a lift up to the Queen's cairn and then walk all the way down on an easy track to the Clachaig Inn in time for lunch. A great way to spend a morning! Situated on the old road just above the gorge, a popular viewpoint for Queen Victoria. Easily reached from the new road and offers magnificent views down the glen. Further opportunities for short walks within a short drive of Clachaig. Forest Enterprise way marked trails by St John’s Church near Ballachulish. Forest Enterprise woodland walks at Onich, with great views of the waterfall. A network of trails at the back of Kinlochleven village, incorporating the spectacular waterfall. A quiet glen with riverside and forest tracks, close to Fort William. Park at the Braveheart Car Park, the Visitor Centre or continue through to the Lower Falls. There's a pleasant walk at the head of the glen through to Steall Waterfall, but care is required on the sometimes exposed path.